Who Made Japan’s First Jeans? In the last two decades, Japanese denim brands have emerged as global leaders in quality, craftsmanship, and design. And while many of these companies like to tie their trade back to ancient Japanese indigo dying techniques of a prior millennium, the history of denim production in Japan is less than sixty years old. Japanese brands only started making “real” jeans in the mid-1960s and only started weaving respectable denim in the mid-1970s. Today, Japanese denim fans celebrate early pioneers in the field such as Big John, Big Stone, and Edwin, but a debate still rages about who exactly made Japan’s first jeans? There are many competing theories. Big John was the obvious market leader until the 1980s, but arch rival Edwin’s corporate timeline takes claim for almost every single innovation in the industry (color jeans, selvedge denim, stone wash). Meanwhile jeans aficionados online often point to minor brands like Corn Popper and Cactus as the true firsts. My forthcoming book Ametora: How Japan Saved American Style tells the story of jeans becoming a part of the daily wardrobe in Japan, but here I want to offer a more definitive answer to who made Japan’s first jeans based on the evidence we have today. Very few Japanese thought to buy jeans until the late 1950s. In late 1940s and early 1950s Japan, jeans were rare and expensive, sourced from American soldiers and sold through black market stalls. The first big market expansion came in 1956 when the government eased restrictions on importing both used and new garments from overseas. Two distributors — Eikō Shōji and Ōishi Trading — brought new pairs of Levi’s and Lee into the country through official trade agreements. By the late 1950s, jeans still cost too much for the normal person, but relatively high sales and growing demand convinced Japanese companies to make local versions. 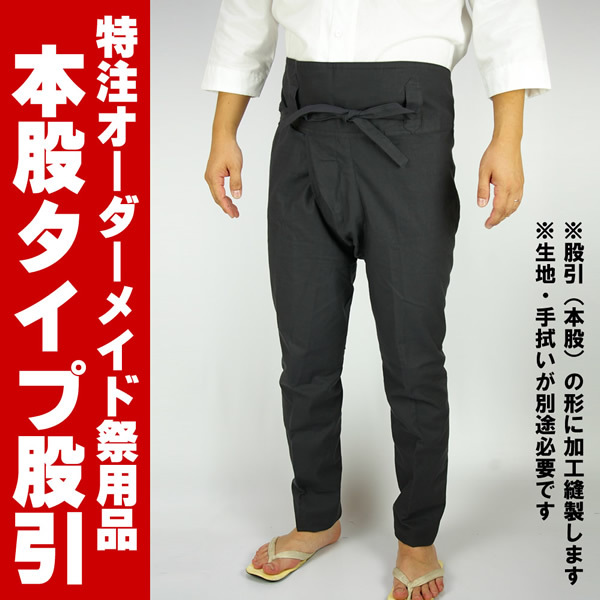 In the late 1950s, street-side shops started selling lightweight Japanese-made, unbranded, indigo-dyed, blended-cotton pants in a traditional five-pocket jeans style. Imagine tapered momohiki workingman trousers with zipper. While they only vaguely resembled jeans, they had the advantage of selling for ¥300, a tenth the price of actual imported Levi’s. Rentarō Mikuni in Washi to Taka. With no brand names and few garments still in existence, it is difficult to uncover today who was making these pants. But you can see a pair in the 1957 Japanese film Washi to Taka (The Eagle and the Falcon). Young star Yūjiro Ishihara wore these cheap domestic indigo pants, while actor Rentarō Mikuni appeared in authentic American jeans. No Japanese companies made “real” denim fabric until the 1970s. The main barrier towards creating American-style jeans in 1960s Japan was that no company in Japan’s massive textile industry could create heavy Japanese denim at 12oz. or higher. Since textile mills mostly worked on high-end fabrics for export, all the spinning factories were set up to make very fine yarns. The heaviest-weight fabrics came in at 6oz. And while indigo dyeing enjoyed a long history in Japan, the traditional technique of dipping yarns into big jars of organic dye does not create American style “white-center” denim where the fabric fades at stress points over time. A current sample of denim fabric from Kaihara Mills. Japanese companies Kurabō and Kaihara eventually cracked the secret to producing American-style denim in 1973 (they used rope dyeing), but before that point, any company wanting to make jeans had to import the fabric, most commonly from the United States. In the early 1960s, Tetsuo Ōishi of Ōishi Trading asked Levi’s supplier Cone Mills for the right to import denim but was turned down. He instead made a deal with Canton Mills in Georgia to make jeans with its denim. Ōishi then sold them under the Canton brand. These Canton jeans, which debuted in 1963, were likely Japan’s first true American-style jeans. Ōishi eventually gave Kojima, Okayama’s Maruo Clothing a contract to produce Canton for Western Japan. After a few years, Maruo Clothing broke with Ōishi, procured B-grade denim from Cone Mills through Santai Trading, and went on to debut the brand Big John in 1967. For the next decade, Big John grew to be the most successful jeans brand in Japan. In 1968, Canton Mills sued Ōishi for not paying proper brand name license fees for the Canton brand. Ōishi then changed the brand name of his jeans to Big Stone (a literal translation of the name “Ōishi”). Edwin used lower quality denim from Burlington Mills, and according to some sources, Graniteville denim was also available for Japanese brands to use. While Canton provides the most well-documented story, other brands claim to have made jeans in Japan before Canton. The fact that Ōishi was the first person to import real American denim helps support idea that Canton was the first “real” pair of jeans made in Japan. But there are some alternative claims of who is first. The company Takahata Hōsei claimed to have started its brand Corn Popper in 1955 with something called shiro-ura (white-back) denim. It is unclear what this is but one description says that it used more weft filling than warp so it had a white cast to it. Other speculation is that it was simply white cotton fabric that had been treated on one side with a non-indigo blue dye. Whatever the case, the fabric was not proper American-style denim. The contemporary company Eight G is a corporate descendent of Takahata Hōsei and claims that Takahata founded Japan’s “first denim brand” Eight G in 1960 — named after the 8000-bandai thread. There is no explanation about where the denim for this brand originated, so we can guess they used either a cheap locally-produced light chambray or the aforementioned white-back denim. Edwin buttons stamped “S.F. CAL” with Scovill zippers. The origin of this “rainbow selvedge” denim is unclear. The Edwin-is-first story also contradicts interviews from Big John execs where they talk about Edwin employees visiting their office to learn about how they were making jeans. (And just to add more suspicions: The buttons on Edwin jeans used to say “S.F. CAL” hinting at an American origin — something patently untrue). So who made the first jeans? Based on the evidence of denim importation, Canton seems to be the earliest true jeans made in Japan. Every part of Edwin’s official history seems too early — one more example: making color jeans in 1964, which was five years before the much more established Big John debuted its Road Runner color jeans in 1969 — so further evidence would be needed to take their claims at face value. Takahata Hōsei likely made some manner of jeans in the late 1950s using cheap, light denim-like material, but these probably still felt like cheap imitations of American imports. The entire reason that Big John started to outsell imported American jeans in the late 1960s is because they finally felt like true substitutes.